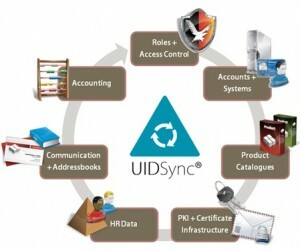 A fully automated, highly customizable reliable service to synchronize about any data from any to any LDAP directory. Search your Microsoft® Active Directory™ like the web / export to clipboard and to CSV files. list group memberships or multiple e-mail addresses in a readable form. Millions of directory entries are being synchronized daily using the reliable and straight forward service proved by our products. Whether you need to unify your global address lists, connect Microsoft(tm) Active Directory(tm) data from multiple domains or integrate Lotus Notes, openLDAP or other directory services to enable centralized data management and availability, or if you need to migrate, consolidate or separate different directory services – our solutions can ensure data quality and availability by allowing synchronization scenarios tailored to your requirements.